I add my testimony to all that have been given throughout the ages. I know that Jesus Christ is indeed the Son of God, the Savior of the world. He lives and loves us, and He will come again. Wow, I knew it had been a while since I posted, but I seriously had no idea it had been that long. We’ve had a bunch of things going on — none of them super huge, but all combined, it’s made for a rather busy spring. I’ll try and get you up to speed as to what has been going on on the homestead front today and then go from there. The baby goats are so BIG and so CUTE. 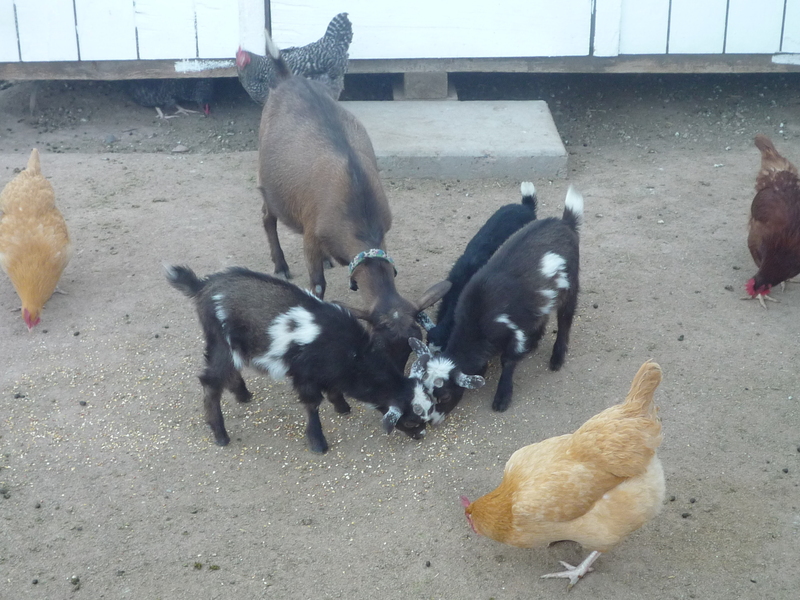 Here they are eating scratch with the chickens. They’re only going to be with us for a few more weeks. A very nice family bought Isabella and Ferdinand as well as put a hold on Mansa Musa. We’re going to miss them something fierce. They love to run and play and chew. I thought puppies were bad. 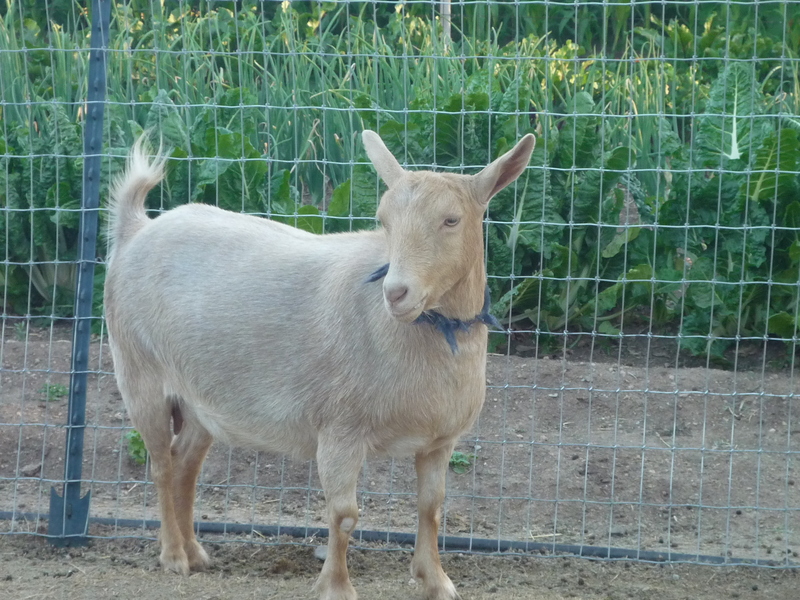 Speaking of goats, we added a MiniToggenberg to our herd — Marigold. They jury is still out on her. She is definitely an in-charge kind of girl. She took over as soon as we introduced her. After the first couple of days, things finally started to settle down. Unfortunately, a couple of weeks ago, she started to get a bit aggressive again. This time — with us. Not so good. Maybe she was just hormonal. She’s due to kid in about six weeks. 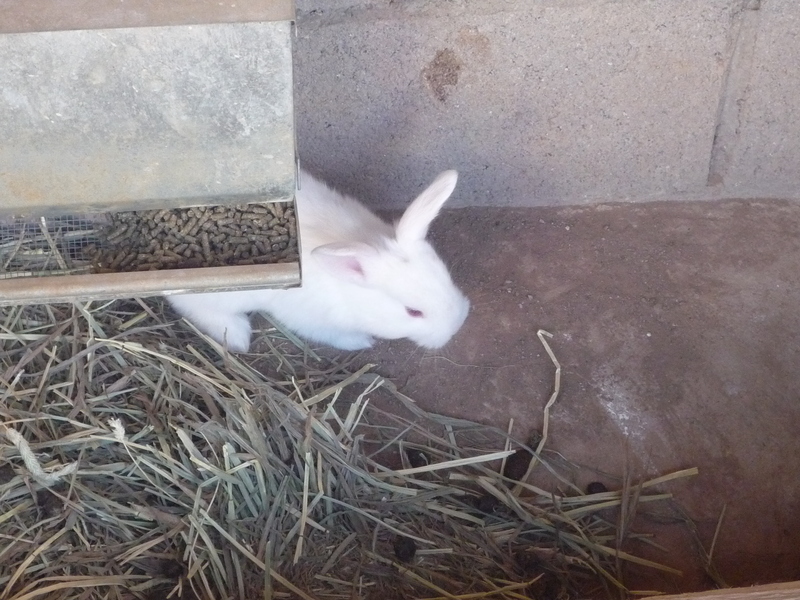 The rabbits and chickens are doing great — not much else to say — they make eggs and babies. Lots of both. 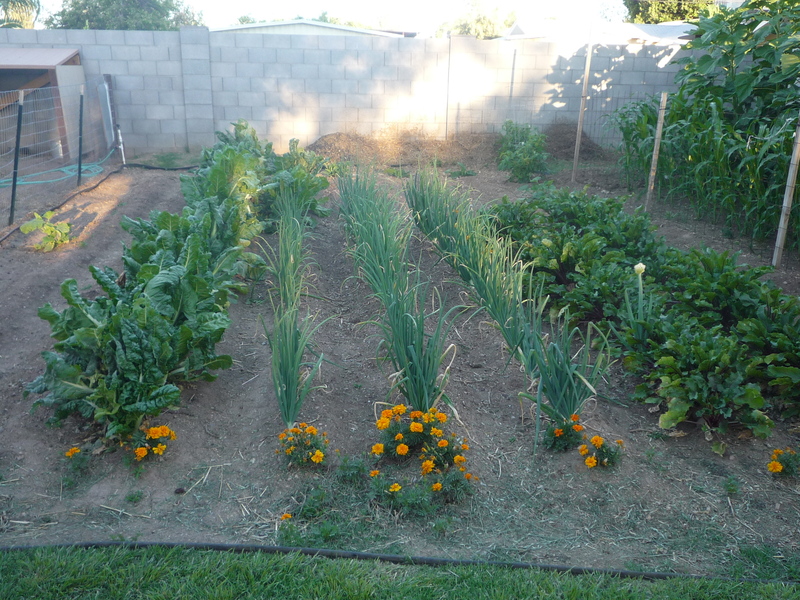 The garden is growing like crazy. 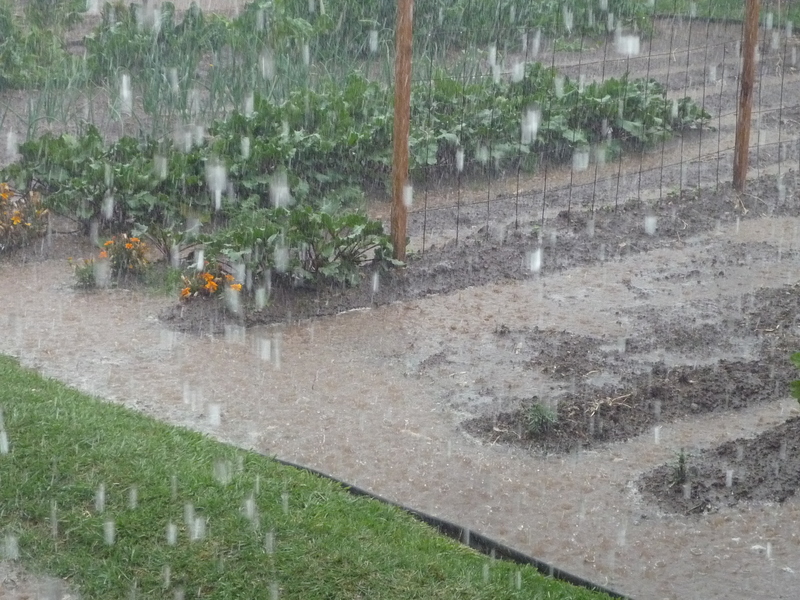 Our second round of cool weather crops was a complete bust. It just got too warm too fast here. I know it’s not totally accurate, but last week, the outside temp reading in our car was 100 degrees, yup, summer is almost here. You know it’s on its way when you think that being in the high 80s represents a cool front. Here’s an up close of the sunflowers. Are they amazing or what? I think we got them in early enough that we’ll be able to do a second round. Let me tell you, goats LOVE sunflowers — the seeds, the stocks, the heads — nothing goes to waste. 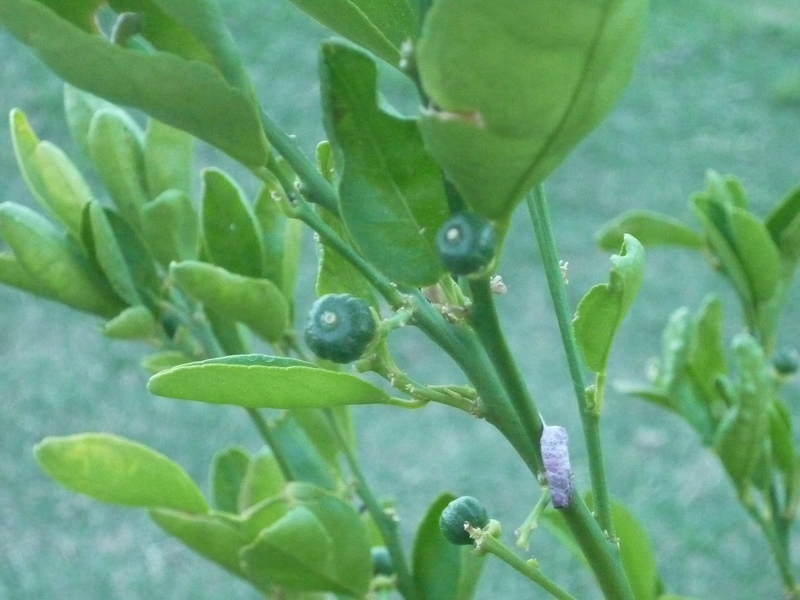 Our poor little citrus trees look pathetic, but we have a ton of little clementines appearing so I’m holding on to my hope of a garden miracle. Nice bird poop — I just noticed that, sorry. 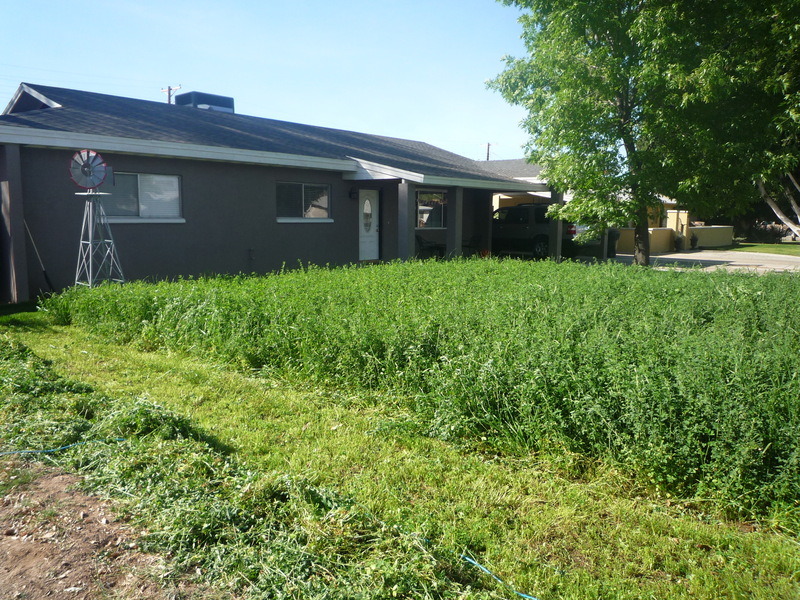 Last but not least, I have to make note of our alfalfa. A project that totally worked. I love it as do the animals. It’s a win-win. How many people do you know that live in the big city and can walk out their front door and see this every morning. I highly recommend it. Time is going by so quickly. Spring is here and everything is popping with life. 10 days ago we finally received some rain. Not just a little sprinkle mind you, but an absolute deluge. A few days later we had irrigation, so we were trudging through mud for about a week. It was well worth it though. Our garden looks smashing. We’re so excited. 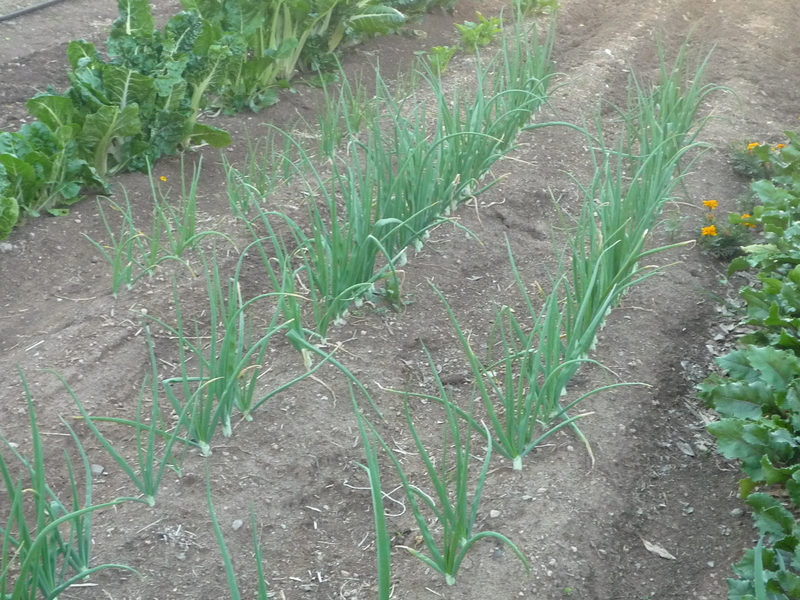 Onions — they take forever, but that’s okay. Patience. Patience. Swiss chard — still going strong. The goats and rabbits love it. 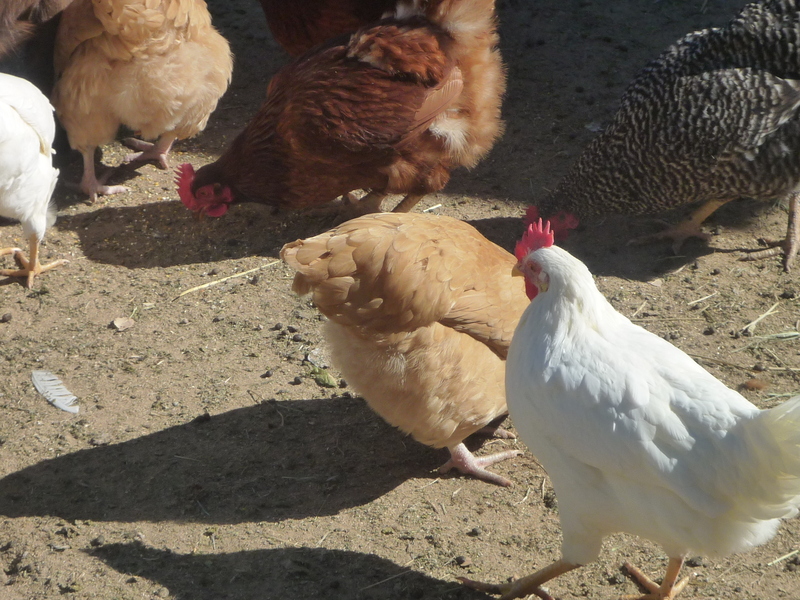 As do the chickens, but chickens eat just about anything. We pulled out all of our lettuce to make room for some new guys. I hope they grow before it gets too hot. 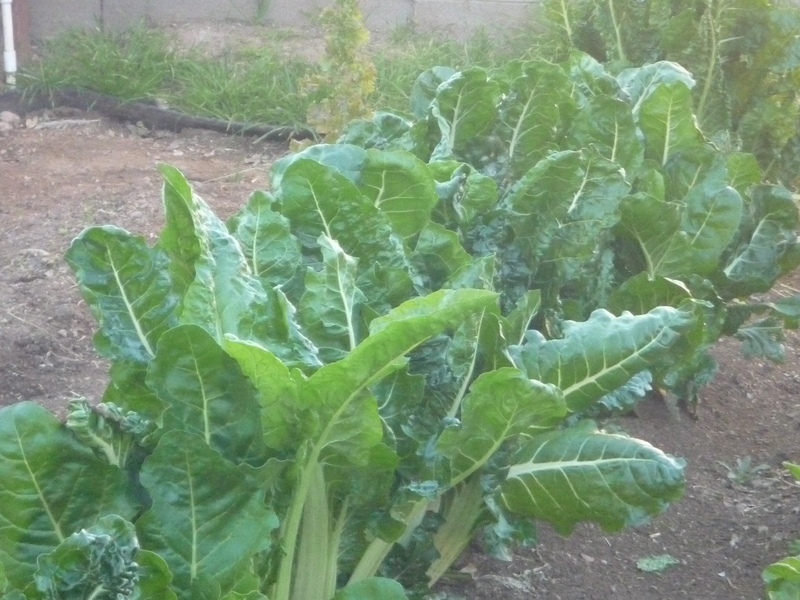 I sure miss having fresh greens right outside my door. 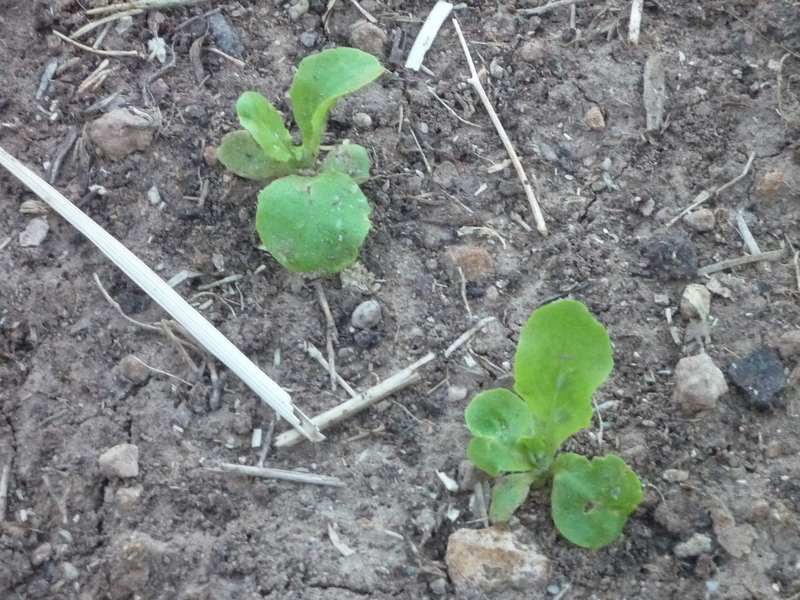 Here’s our lettuce going to seed. This is a new one for us, we’re keeping our fingers crossed that we’ll figure it out. 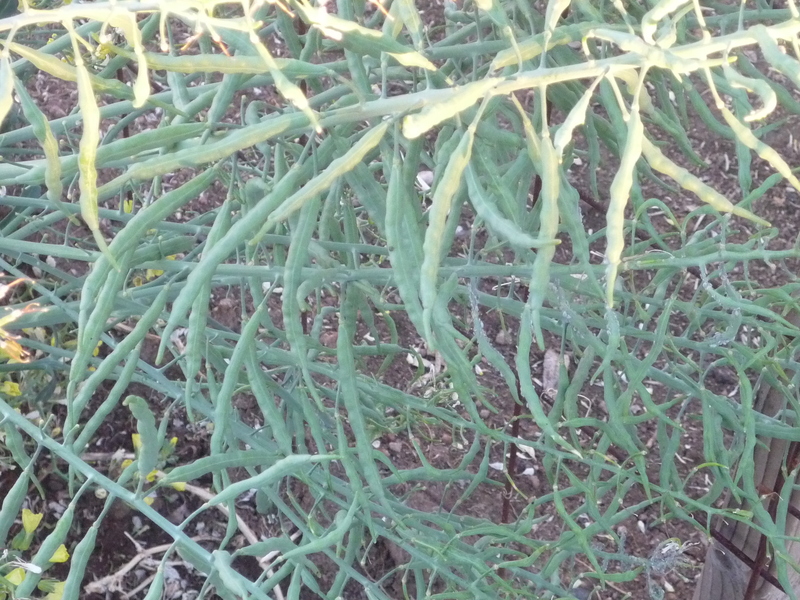 This is our broccoli going to seed. Neat. 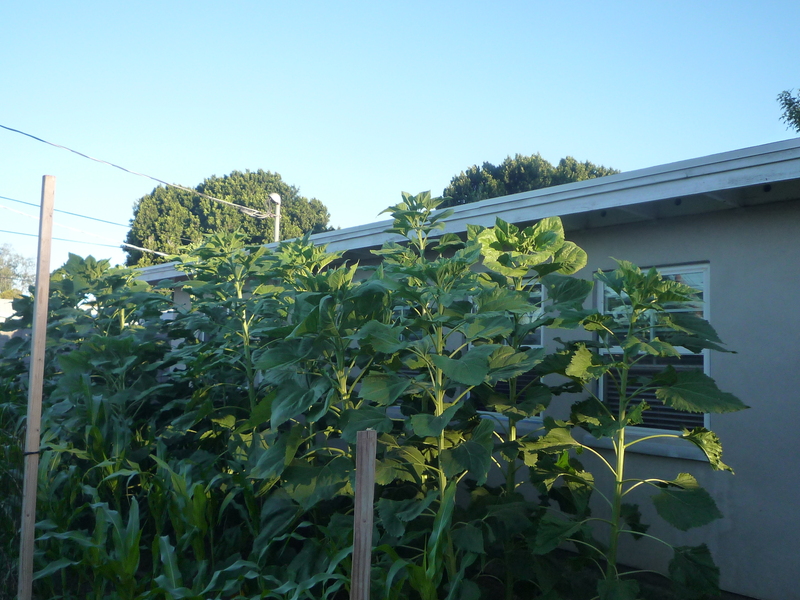 These are our sunflowers. They look awesome. 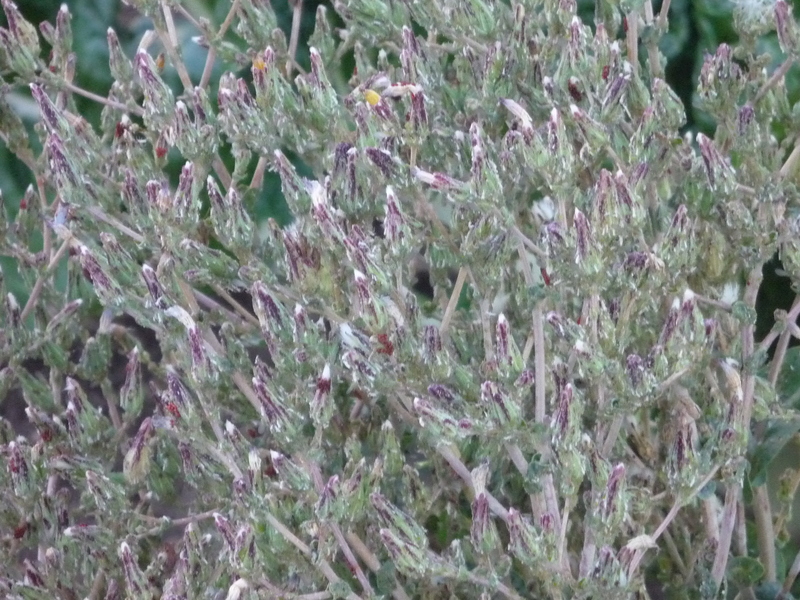 We harvested these seeds last fall. Hurray, something to check off our list — grow, harvest, and grow sunflowers. 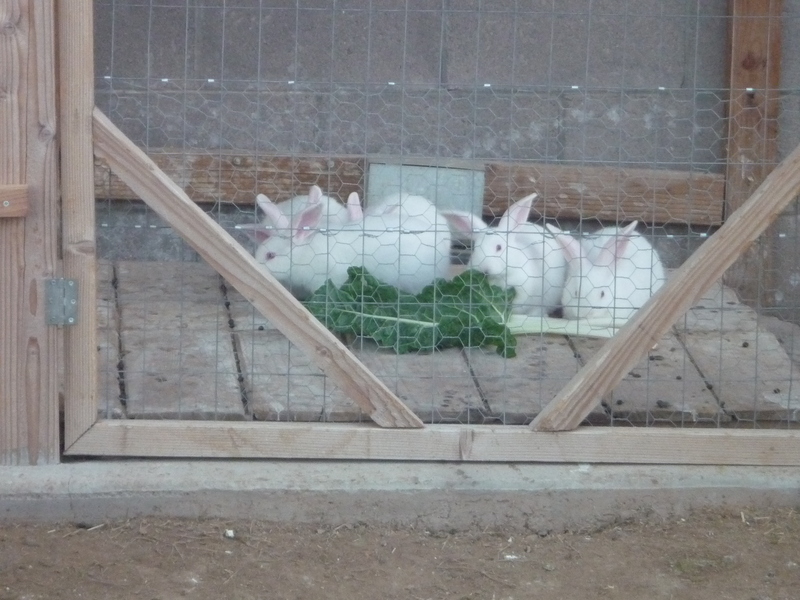 Our baby bunnies graduated to their own hutch. Joy’s getting a little break before she gets to go on another date with Adam. 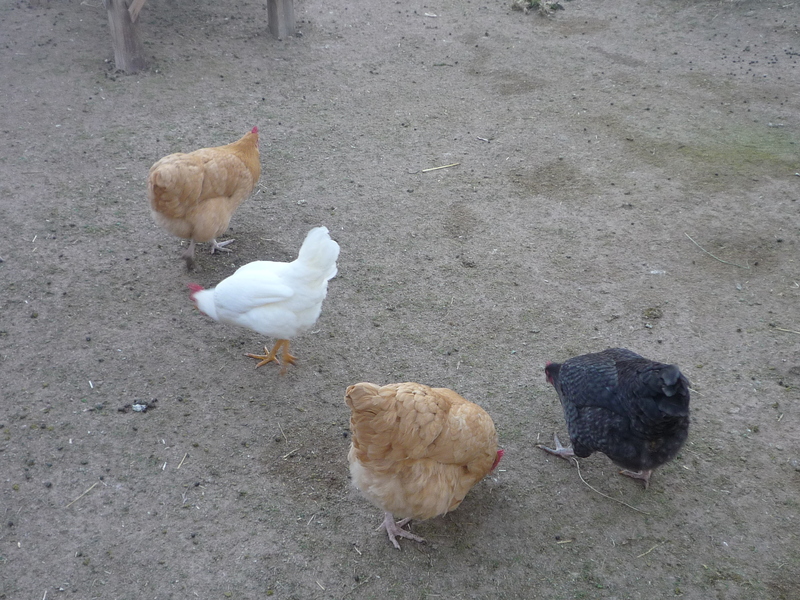 The chickens are doing great. 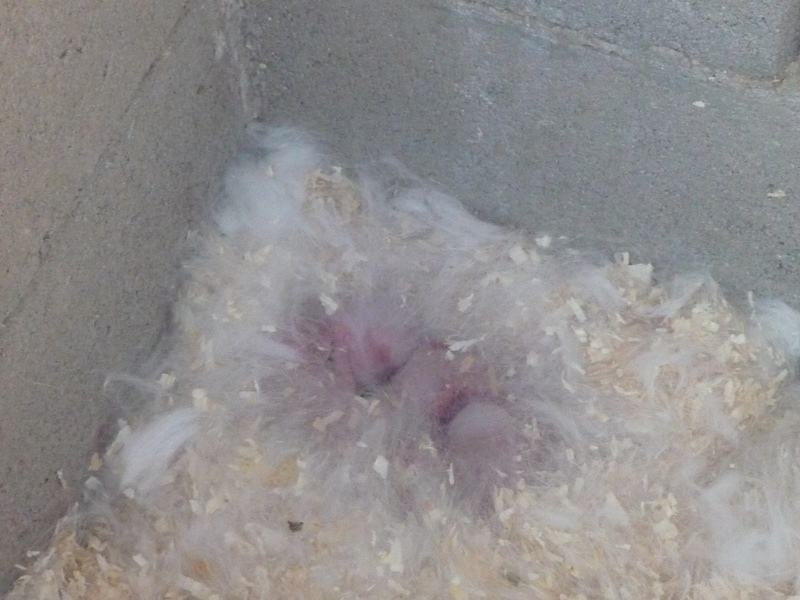 Most of them are laying now, unfortunately, they haven’t quite mastered laying in their boxes yet. I have a feeling it’s not due to a lack of trying. I’m pretty sure the big girls won’t let them use the boxes. Bless his heart, Greg’s building them a set of their own. Hopefully, everyone will be happy. Last but not least, the baby goats. Oh how we love our baby goats. They are so much fun. They too moved this past week. Now they’re in with the big kids. Everyone seems to be getting along just swimmingly. Forget every boy needs a dog, every boy needs a goat. Thomas actually took this little video. I thought he did a good job. I should make him the video editor. That’s what we’ve been up to — hope all is blissful wherever you are. What an exciting day for us yesterday. Flame Princess took us all by surprise by giving birth to three beautiful kids. Two little bucklings, Mansa Musa and Ferdinand, and one darling little doeling, Isabella. We decided to go with names of royalty after their mom. It just so happens that we studied Spain and West Africa over the last couple of weeks, hence the names. We missed the first one coming, but we were able to help her along with the other two — not that she needed much help. We managed to get a few fun videos. I have to apologize in advance for the running commentary. Sorry, that would be me. Here’s teeny tiny Mansa Musa. Here’s number two coming into the world. I’m terrible, I can’t remember if Isabella or Ferdinand came next. Last but not least, some first steps. We weren’t expecting them for another couple of weeks — somehow we got our dates off or she just had them early. So they weren’t born in the most sterile environment. Thankfully, Greg was able to quickly get their private nursery pen ready complete with plenty of comfy straw. Everything went really well, good thing, I’m not sure what I would have done if we had run into problems. Mansa Musa is pretty small and had a wee bit of trouble at first. After a quick drink of milk from a bottle, he figured the eating thing out and by this morning, he was running around with the rest of them. Thanks Heavenly Father. We’ve had a lot of ups and downs with this homesteading thing. I have to say, I’ve enjoyed the whole thing, but the ups are definitely more fun. 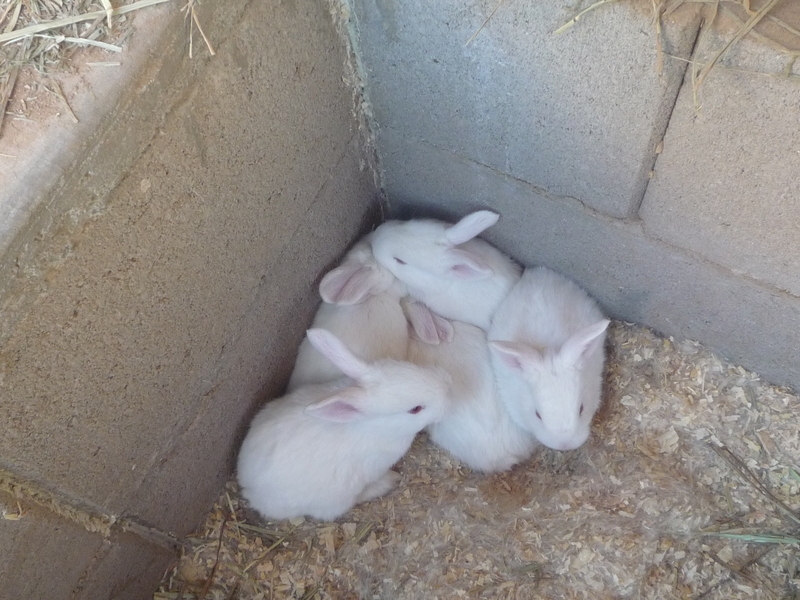 It seemed like it was just yesterday that I was writing about our new baby bunnies then I realized it wasn’t just yesterday. Woops. 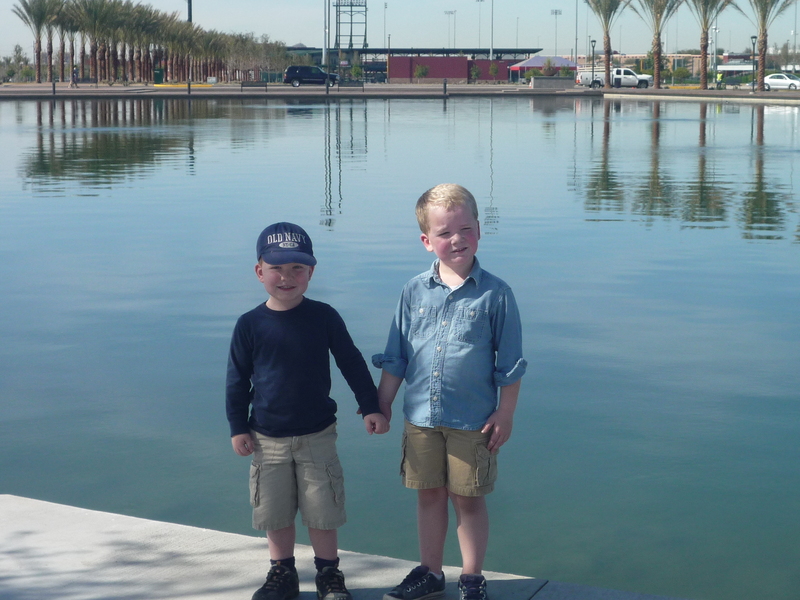 Anyway, check out these little cuties. Some have even started wandering about upstairs with their mom. They’re having fun, I’m not so sure mom is too excited about it. I could have taken pictures of them all day. But alas, there’s work to do like feed the chickens. Our little chicks are so BIG. They should start laying any day. It’s been fun having such a variety this go around. The White Leghorns are super light making them excellent flyers. Greg, Thomas and Hunter had fun this weekend clipping some wings. Sorry ladies. 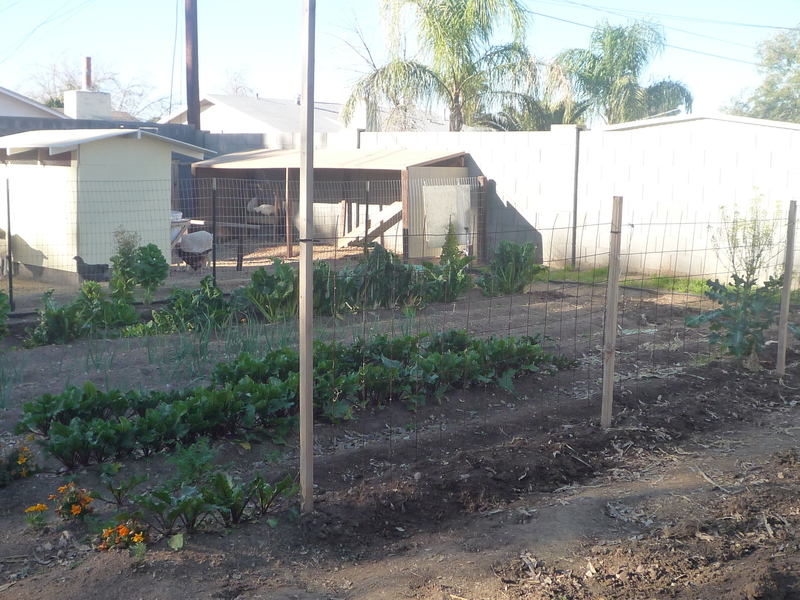 The garden is super bare right now with the exception of a few lettuce and swiss chard holdouts and our beets and onions. 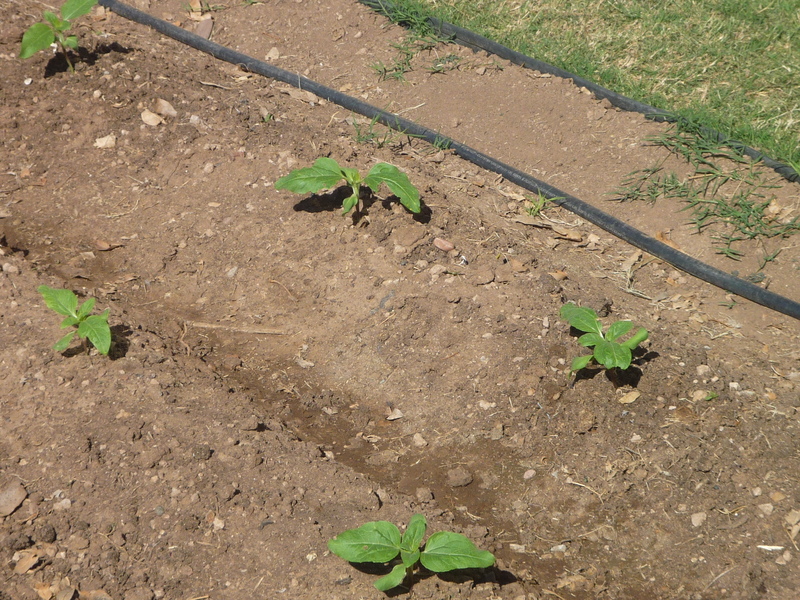 We’ve planted our second crops of lettuce, chard, and peas. We had one of those learning experiences with our peas this year. We let them go too long and they got really starchy. 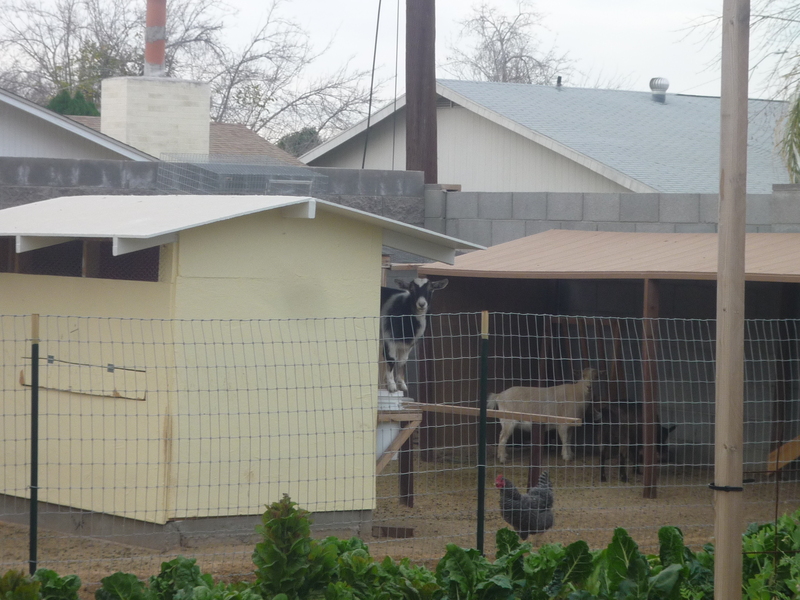 Boo — thankfully the goats liked them so no waste, but I certainly would have enjoyed them on my plate. We also have some rouge squash growing. Several weeks ago we gave the animals some fresh squash. 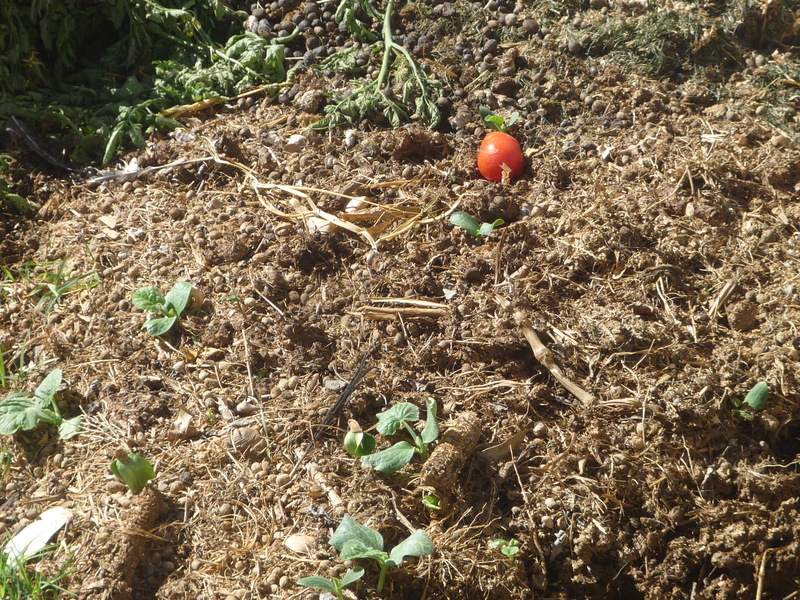 Some of the seeds made it into our worm patch and compost pile. Tah-dah we have a bunch of squash growing. Oh, and how could I forget — sunflowers are coming up which means summer for us is just around the bend. Our high for today is supposed to be 86. 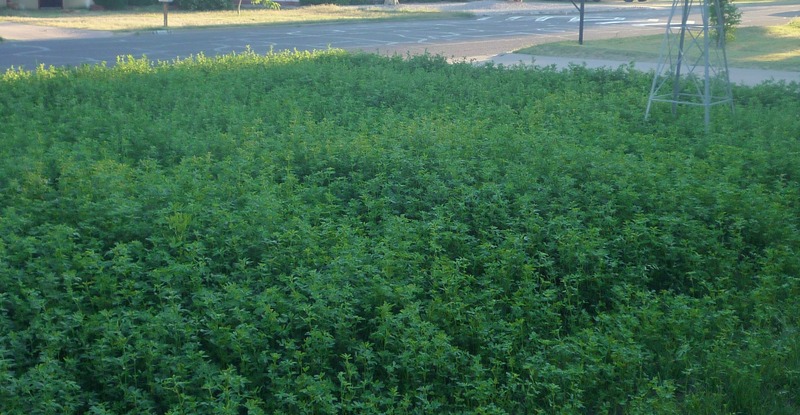 Our biggest news is that Greg and Hayden harvested our first batch of alfalfa. 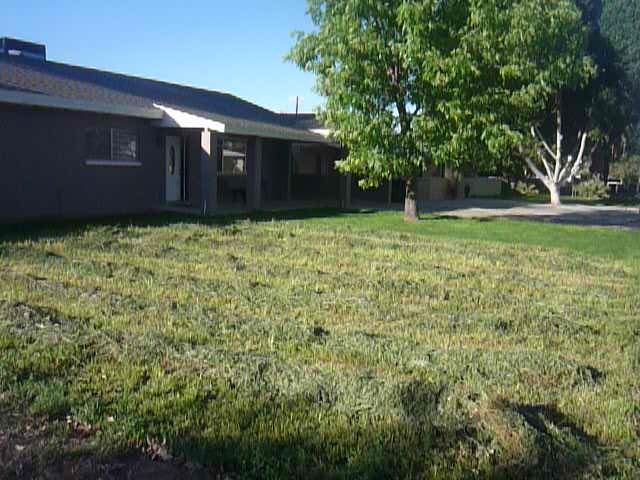 We started this project almost and year ago removing all the grass from our front yard, tilling, dumping soooo many pounds of cow poop, tilling some more, waiting, tilling again, planting, watering, hoping. Here’s the first strip down, and here’s what it looks like now. It needs to dry out for a few days, and then we’ll gather it up and start feeding our goats beautiful non-gmo, organic alfalfa. Life is good. 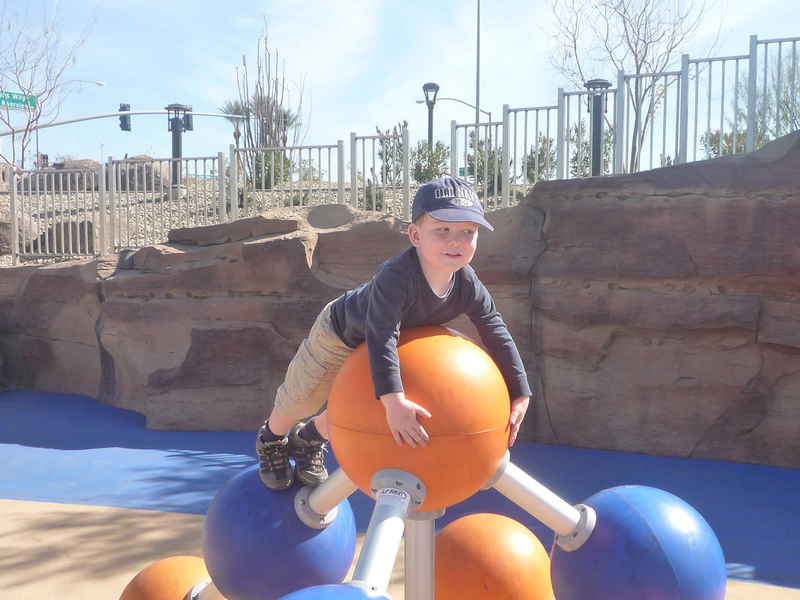 Even with all the fun we’ve been having on the farm, we’ve managed to get out and about a bit. 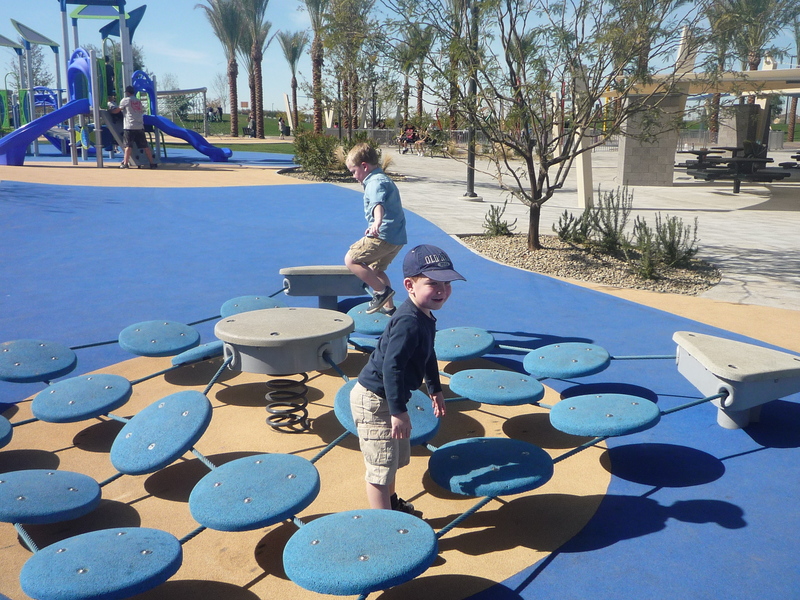 Here we are at our new local park. And then of course we’ve been doing school, but that’s another story for another day. Hope all is well where you are. Just thought I’d post a little glimpse of what’s going on around here. I know much of the country is wondering if spring will ever come, here in Arizona, I’m trying to figure out what happened to winter. Maybe it will come this weekend. The weather guy said we were only going to have a high of 67 on Sunday. Brrr. Better pull out my thermals (actually, I just may). It’s hard to believe, but it’s time to say goodbye to our winter garden and start looking forward to spring and summer. 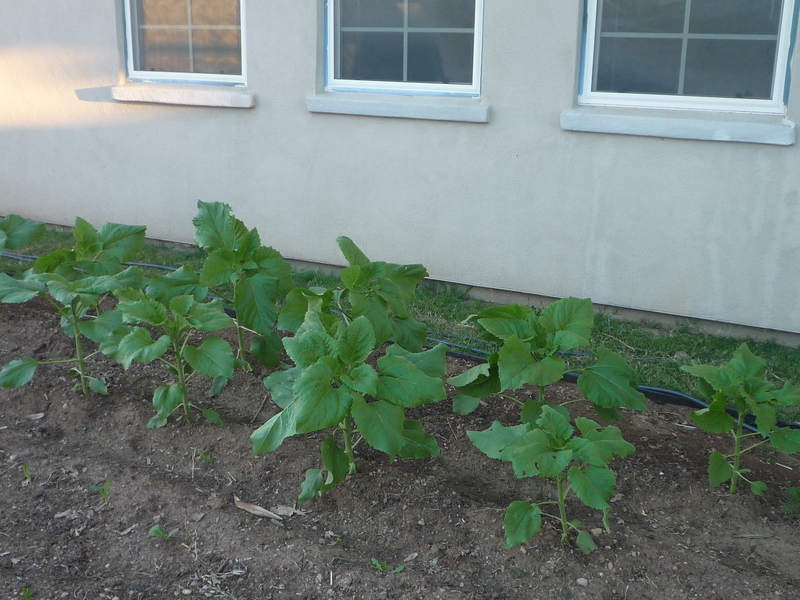 Greg and the boys have already planted our sunflowers. It’s probably a little early, but we’re taking our chances. 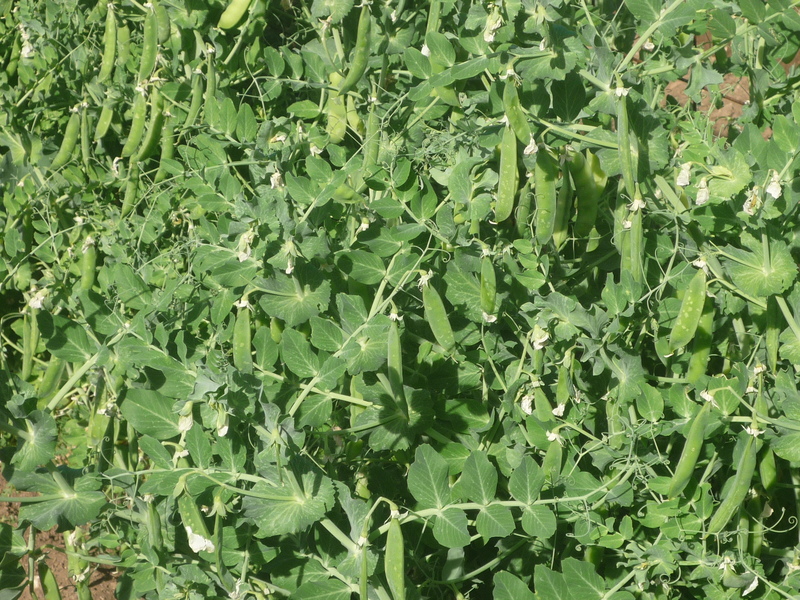 This weekend we’ll be picking peas for sure. 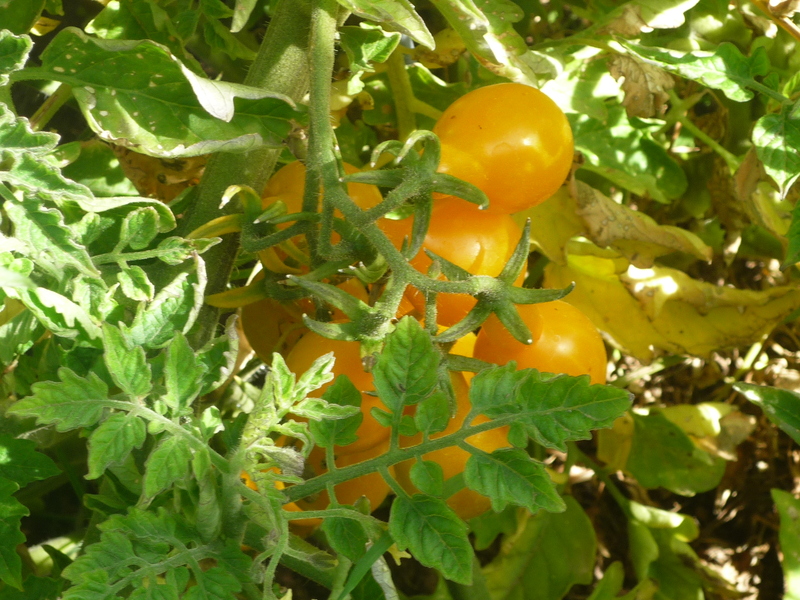 Our super ugly tomato plants have some nice fruit on them. Although, these are supposed to be a heinz tomato similar to roma tomatoes. Uhh, call me crazy, but I’m not sure they were labeled correctly, oh well, they look good. 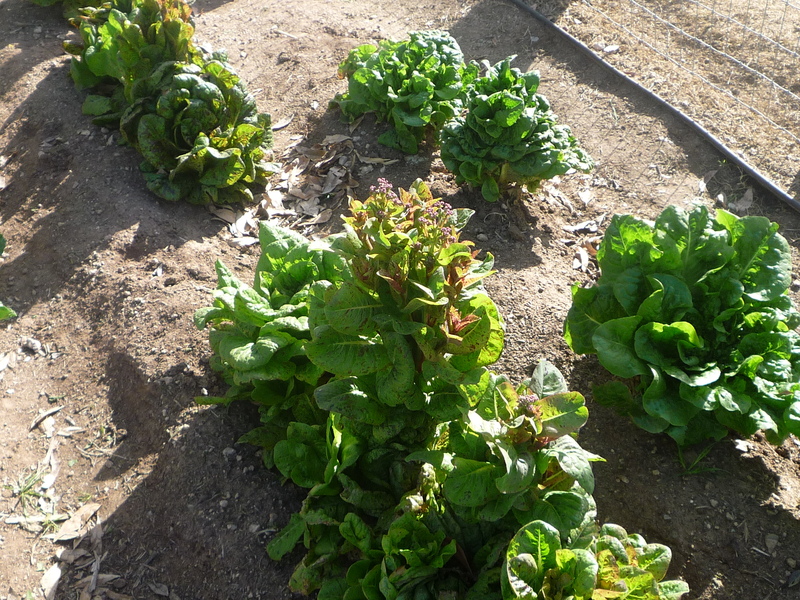 Some of our lettuce has started to bolt, and I think I’m going to try to harvest some seeds. 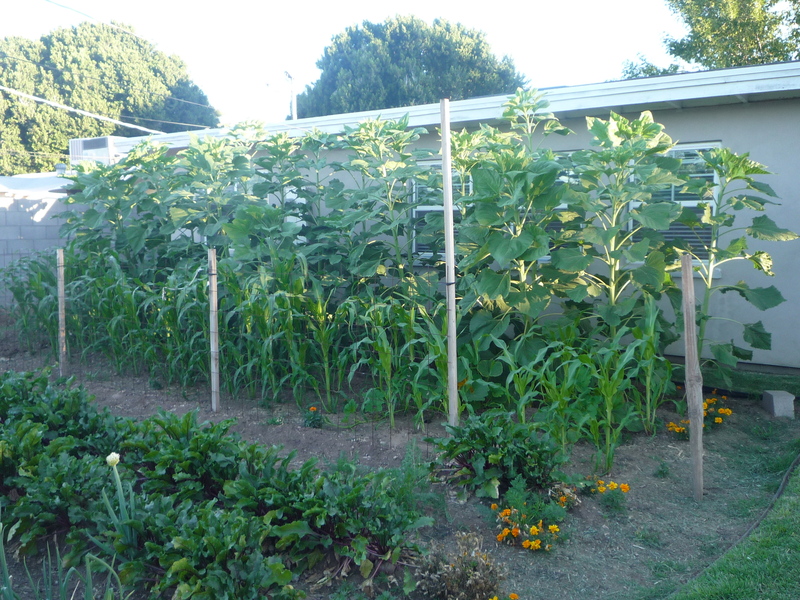 So far we have successfully harvested and planted peas, calendula, marigolds, sunflowers and corn. Go us. Our big news this week is that Joy had her babies. Phew. Last go around she only had one baby and it didn’t make it. I’m happy to report this time she has seven very wiggly kits. Oh and this is my favorite picture of the week. Daisy on top of the chickens’ water — the lid is only about 12 inches in diameter. I’m not quite sure how she managed it. Boy, I love that goat. There you have it. Hope all is blissful wherever you are. I had such big plans as 2014 started. Oh, my list of projects was long. Rather than being overwhelmed, I was excited to get started. About halfway through the month, I started getting a little cold — you know the one — a few sniffles here and there, a scratchy throat, a cough or two. Then I started getting tired. Like super tired, I don’t want to do anything tired. If I was a napper, I would have napped a lot. Unfortunately, naps and I don’t mix even when I’m sick. If I nap during the day, I can completely forget about sleeping at night. Normally, I would fight the urge to do nothing, but this time, I embraced it. I have to admit it was nice. I kicked all my projects to the curb. In fact, I kicked everything that wasn’t essential to the curb. I tidied the house, did school and hung out with the boys, made dinner (sorta), and sat on my duff. It’s actually quite amazing the things you can check off you to-do list while seemingly doing nothing. School was a ton more fun without the nagging feeling that I had other stuff that I need to do cluttering up my time with the boys. We actually did all of the fun science activities that went along with our lessons. 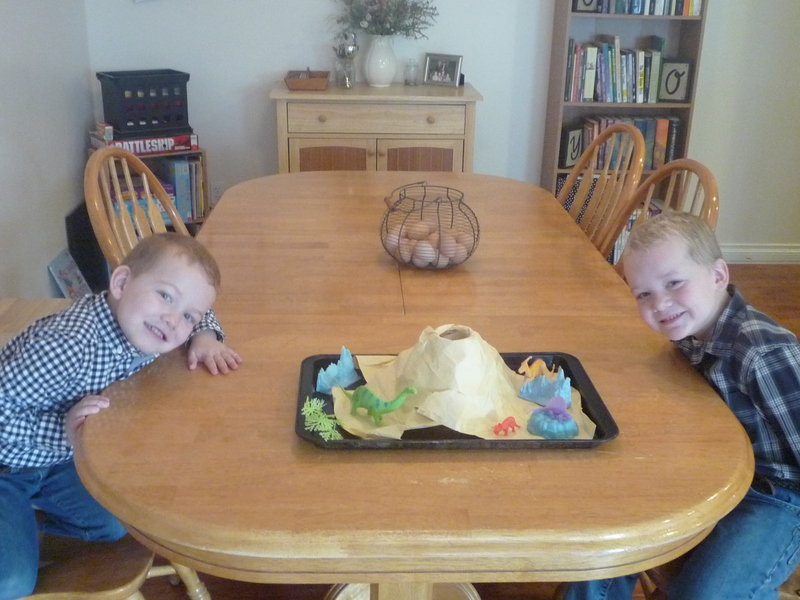 Friday, we made our own volcano complete with the destruction of the dinosaurs per Thomas’ request. Sorry for those that got sea sick. I really need to work on keeping steady while recording. Anyway, it was fun. I also need to be better about just spending time with the boys doing things that they want to do rather than only doing things with them that I think they need to do. While on my duff, I read. I forgot how much I enjoy reading. Life of Pi has been on my reading list for over a decade. I kid you not. I finally read it. I’m still not sure if I liked it or not; however, it has certainly stuck with me. I even checked out the movie from the library this weekend and made Greg watch it with me hoping that I could find some sort of closure to all my thoughts. No such luck. If you’re a deep thinker — you’ll love it. If you like neat and tidy endings — this book is not for you. If you’ve read it, I’d love to know your thoughts. I also continued my quest to find a learning to read program for Muf. I tried the Ordinary Parents Guide to Teaching Reading. I liked it’s good solid style, but Muf lasted about five minutes. Total no go for him. Next, I tried doing a few things on my own. Bad idea. This last week, I checked out Teach Your Child to Read in 100 Easy Lessons from the library. It’s not my ideal, but I think it will be a good fit for Muf. We did our first lesson this morning. 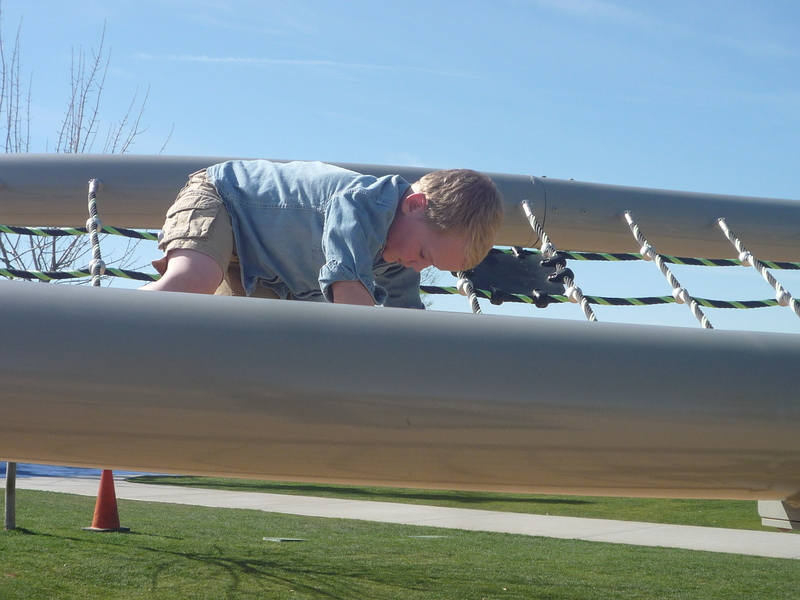 When we got to the end, he wanted to do more. I’m taking that as a good sign, and I ordered the book. I’ll keep you posted. I also picked up a copy of the FastDiet from the library. My sister had just finished reading it and thought I might be interested. Basically, you fast two days a week (not necessarily back to back and it’s not really a fast — women eat 500 calories and men eat 600 calories on fast days) and the other five days you eat normally. The research presented in the book is really impressive. You lose weight (nice) but there are a bunch of other health benefits linked to fasting including lowering your risks of cancer, diabetes, and even dementia. I’m giving it a try — what the heck. So I’m off to sip on some broth and sit on my duff. Wait, I’m actually feeling better today. Drat — even though I’m not technically sick anymore, a little downtime during the day is probably not such a bad thing. When I was growing up, all the cool kids had Wonderbread. 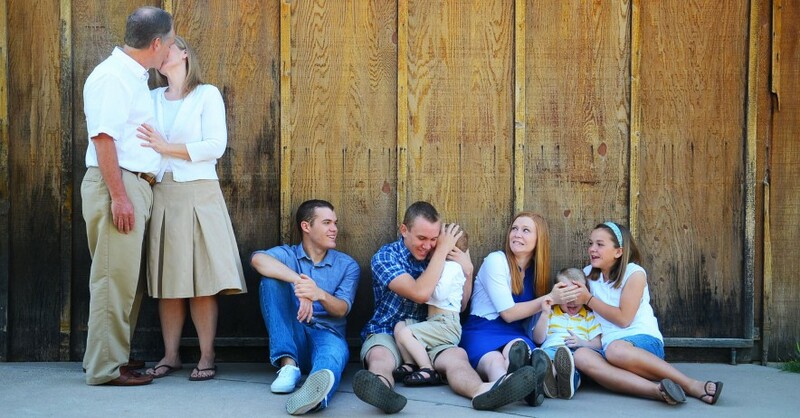 My family, not so much. 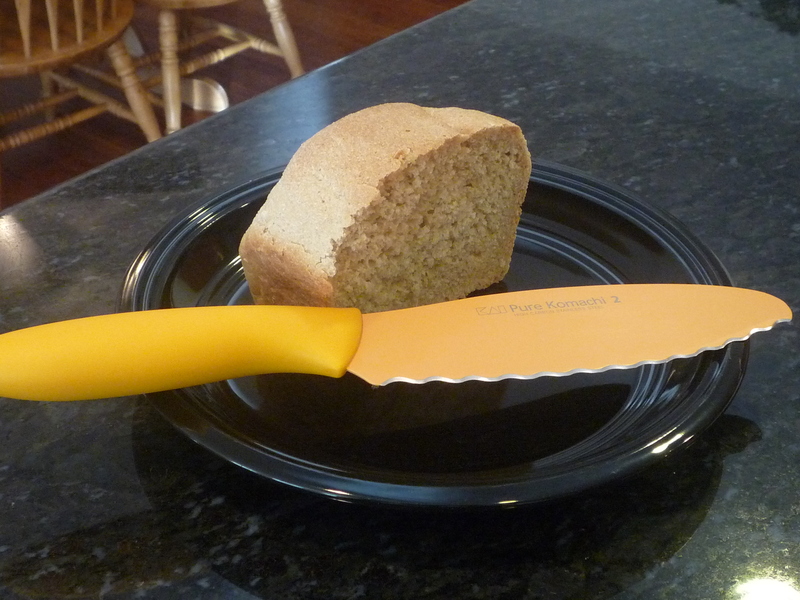 We had homemade wheat bread. Ugh — how could my mom do that to us? Didn’t she know the social ramifications? Fast forward more years that I care to admit, and I’m sending my own kids off to school with their whole wheat bread. Most of the time, I buy my bread from Alpine Valley Bakery. Twice a week, all of their breads go on sale for a dollar a loaf. I kid you not — even their organic bread. Yeah, I don’t think I can make it for that price. That being said, there is nothing like a piece of warm bread right out of the oven, and I’m pretty sure that bread is going to taste even better after the poop hits the fan and bread from a store is just a distant memory, but I digress, back to the bread. One of the reasons I haven’t made bread more often is because I never seemed to get it quite right. Everyone said it was good, but I wanted better than good. I wanted super good. Guess what? I finally got it right thanks to The Well Floured Kitchen. Oh how I love this blog. I could go on and on, but I won’t. Just visit, I promise you’ll love it. It’s not exactly how she did it, but she’s way cooler than I am. I couldn’t seem to get my loaves all nice and pretty like hers or have cool cuts across the tops. I’m okay with that though. Maybe one day, I’ll try again, but for now, here’s what I do. If you are using regular active dry yeast, you will need to start by proofing it. Do this by adding the yeast and 1 teaspoon of your sugar to 1 cup of warm water. Let it sit for five minutes. While the sugar and yeast are getting all cozy, place the flour, the rest of the sugar, and salt in a heavy duty stand mixer (hopefully, we’ll still have electricity even though the grocery stores are empty). Per the tips from the original recipe, I’ve been weighing my flour rather than using measuring cups. I really think this has made a huge difference — not sure why, but there it is. If you are using instant yeast, you can just throw everything into the mixer. Once the yeast has been proofed add and the yeast mixture and the second cup of water to your mixer. I use the paddle just to mix things around and then let it rest for about fifteen minutes. Switch over to the dough hook and knead for five minutes. Once it’s done kneading, I pull the dough out and do a quick wipe down of the mixing bowl with olive oil, just so the dough doesn’t stick as it’s rising. Put the dough back in the bowl and cover it with a damp towel or plastic wrap, and let it rise for about an hour. It should double in size. Punch it down and form into two nice loaves. I put mine in bread pans, but you can also do round loaves and make it look all fancy. Cover, and let it rise again for about an hour. Bake for 10 minutes and then lower the temperature to 375 degrees and bake for 20 more minutes, or until it has an internal temperature of 200 degrees. This is another tip that I got from Well Floured Kitchen. There you go. Pretty easy and oh so good. You can tell from the picture. I gave one loaf away and before I knew it, this was all that was left, and I didn’t have time to bake some more. Sorry. I’ve been meaning to post about this for a while, but I had to get my courage up. You see I’m an Aggie — a Utah State Aggie to be precise. 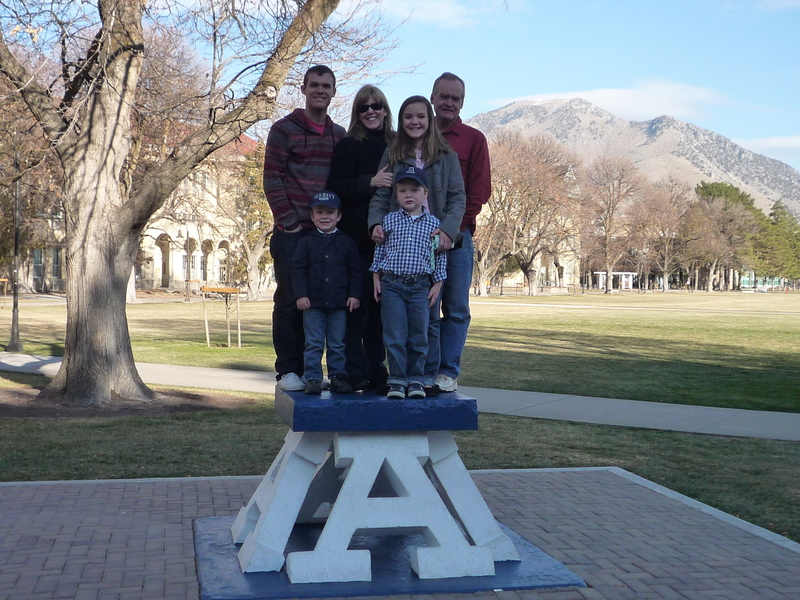 Here’s the fam on top of the famous USU True Aggie A on our most recent trip to the motherland. As an Aggie, I can’t like anything about Brigham Young University, but I have to say, BYU Creamery’s ranch dressing is pretty darn good. Thanks to Jillee from One Good Thing, we can now make it at home (and no one will know our association with BYU). 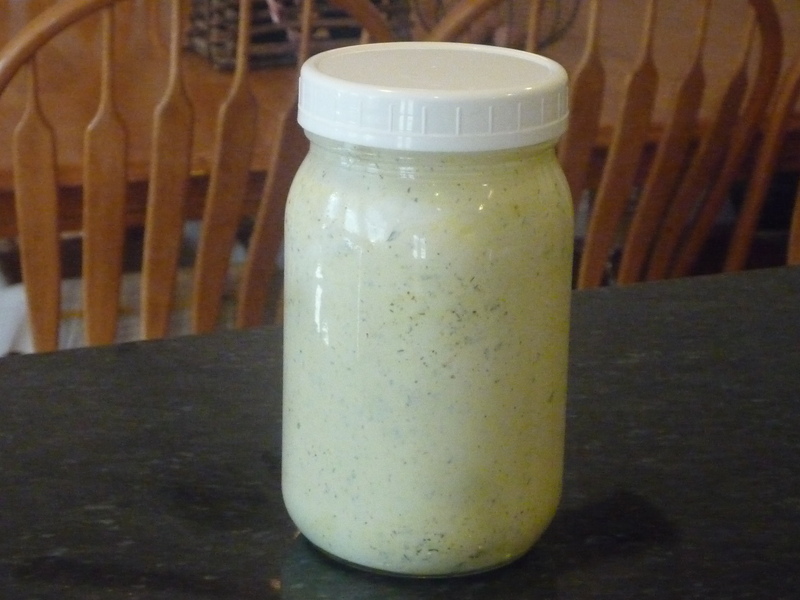 You mix the spices up ahead of time so you basically have a quick and easy alternative to the ranch in a bottle you get from the shelf which is kind of scary. 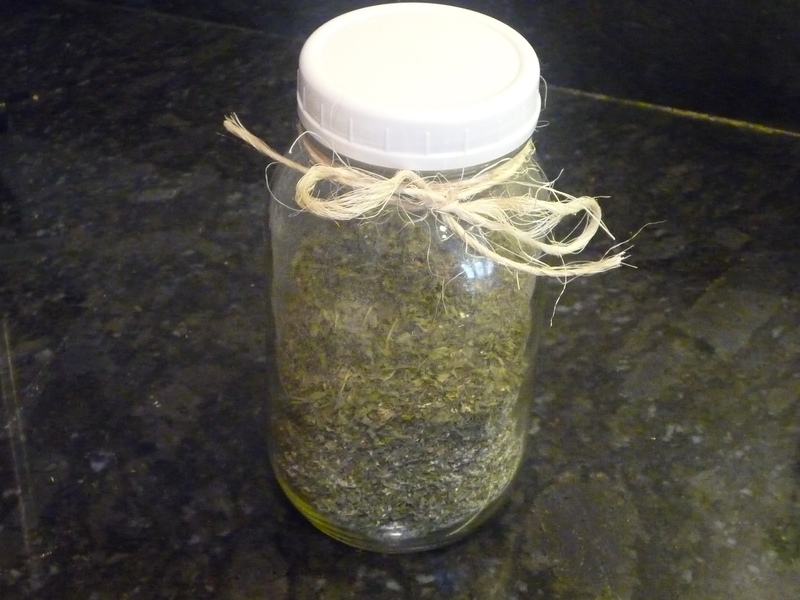 Combine and store in an airtight container. It will make about 3 and 1/2 cups of mix. It will last FOREVER. Trust me, we eat a lot of salad and I’m still working on my first container. Wisk together and refrigerate for a couple of hours. Makes a quart. Play around with the amount of milk you use. The original recipe calls for almost twice as much milk, but I found it just a tad too runny for me. Hope you enjoy. For the last few months, I’ve had this feeling that it’s time to raise my personal bar. Not in a self-defeating I’m a loser kind of way, but in a I’m ready to be a better person kind of way. It all started a while ago when I was asked to teach a class on the importance of receiving an education to a group of young women in our congregation. One of the resources listed was Proverbs 31:10-31, and I haven’t been able to get it out of my head. It occurred to me that this passage perfectly outlined the person that I want to be. And so, this year I resolve to be a more virtuous woman, a woman of God. I’m not going to tie myself down to any particular schedule. I just plan on reading and rereading this passage frequently to help me set some realistic and obtainable goals that will hopefully bless my life and the lives of those around me. Perhaps you’ll join me. I’d love to hear what you’re doing.